It's February! Time for Your Calendar Shot! If you were to make a 2012 calendar, which one of your Disney pictures would you use for the month of February? It was a tough choice for me. I couldn't decide if I wanted to go with a cherished family photo or a photo I really like and have used occasionally as a screensaver. After you've decided on a picture for your calendar you may want to check out this link to a site where you can create and print your own free photo calendar. You don't have to post along with the theme, but it does have to be Disney. Non Disney links will be deleted. All DWW Blog Hop announcements are made on Facebook, Twitter and in my weekly update. Be sure to follow Focused on the Magic for the latest DWW news! Please leave a comment below after you link up and tell me what you think of the theme this week! I love to hear from you! 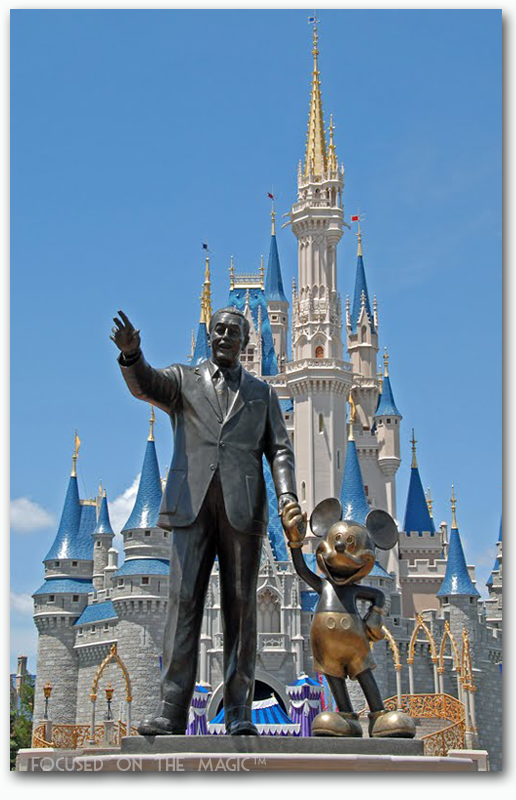 Awesome pic Deb, I love the close up of Walt and Mickey ;-) Thanks for the tip I will be checking it out..
How fun! I just submitted a photo to warm up those winter blues! Ooo sounds good, I could use that today! Thanks for stopping by and for linking up to the #Disney #WW hop! Thanks Diane, I love the Partners Statue. It's always one of the first things I take pictures of in the Magic Kingdom. Looks like a postcard! Beautiful! Love the colors! Love the gold/brass accents here and there ... gorgeous shot, Deb! Perfect for a calendar, postcard, print, poster or puzzle. Fantastic!